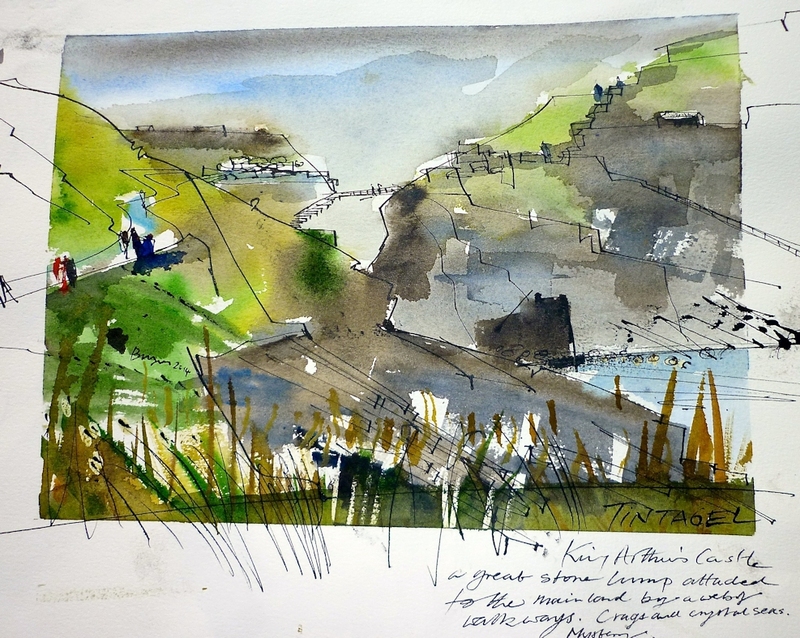 I asked my artist in residence, Tim Baynes to create a painting of Tintagel. I hoped he would capture the mystery and magic of the place, and I think he has achieved this with his loose and vibrant interpretation of the beach and Merlin’s cave. And here is the larger photograph on which the painting was based. 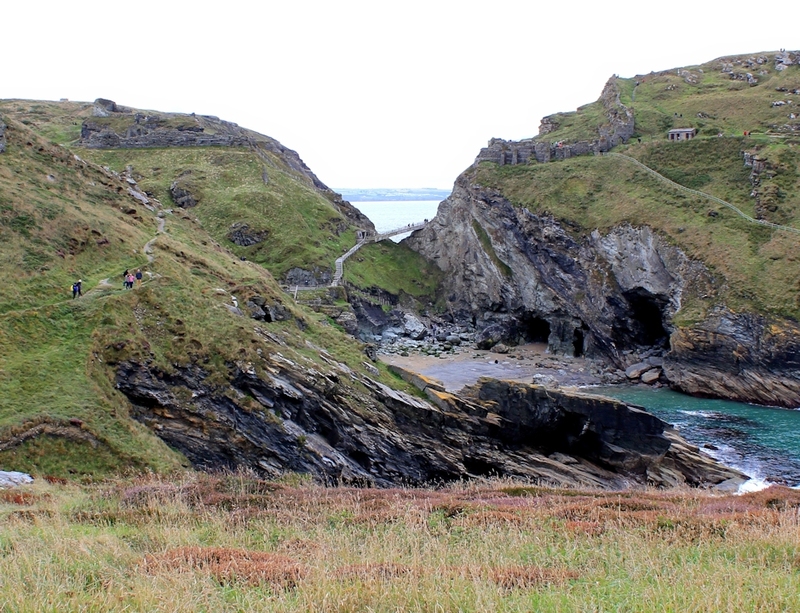 You can read my description of my walk around Tintagel here.